So... it's really, really easy to pig out at a Superbowl Sunday party. I've done it so many times... pizza, wings, Popeye's chicken meals or KFC, chips and dip, hoagies, and sweets. Needless to say, I was happy to come across two healthy recipes for dips on Scale Junkie's website. I made these, and even though my grocery store didn't have any real ripe avocados, it was really good. 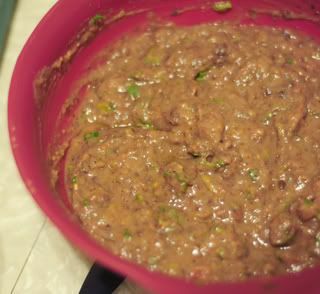 Combine beans and tomatillos in a food processor (I used my magic bullet) and process to a chunky puree. Transfer mixture to a large bowl and add remaining ingredients. Stir until well combined. 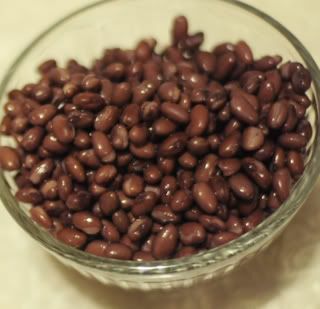 Nutrition per 1/3 cup: 102 calories, 1 gram fat, no cholesterol, 390 grams sodium, 17 grams carbohydrates, 7 grams fiber, 6 grams protein. Source: Weight Watchers Momentum Cookbook. 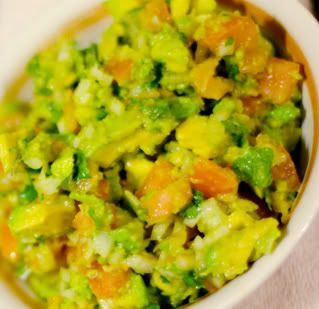 Coarsely mash the avocados in a medium bowl. Add the remaining ingredients and stir until combined. Serve at once or press a piece of plastic wrap directly onto the surface to prevent the guacamole from browning. Refrigerate up to 3 hours. Alrighty! So, I also want to say that Jennifer Hudson did a great job singing the National Anthem, but I swear I saw her breathing during long notes. Did she lip synch? Just a thought I had. I also don't get the Bruce Springsteen thing, but I'm glad so many people seemed to enjoy the show. Me? I'm typing this while it's on because I just don't get into Bruce Springsteen. Meh. She definitely lip-synced, and I said as much to Liesl while we were watching it. I'd bet money on it. Nobody's going to hold it against her, though. How can you give someone a hard time for lip-syncing their first live performance after having close relatives murdered? And it was beautiful. I'd still rather hear people sing (or play) live, but I'm beginning to think that particular art form is dead.